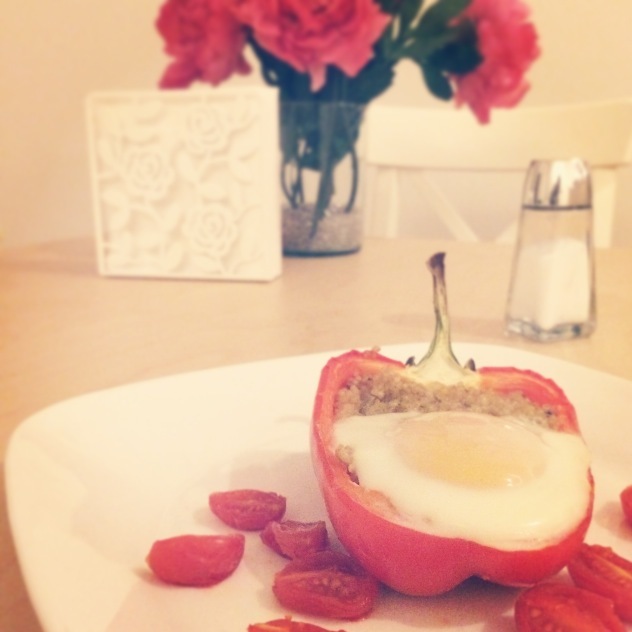 Who doesn’t love a good stuffed pepper?! This recipe is healthy, gluten-free and packed with protein. Other perks? The ingredients are all inexpensive and making multiple servings is a breeze! Hope you enjoy making it as much as I enjoyed eating it. 2. Boil ½ cup of water (always prep 1:1 for quinoa). 3. Dice garlic and onion. Sauté in olive oil over medium heat. 5. Place bell pepper halves on a baking sheet and roast in the oven for 15-20 minutes. 5. 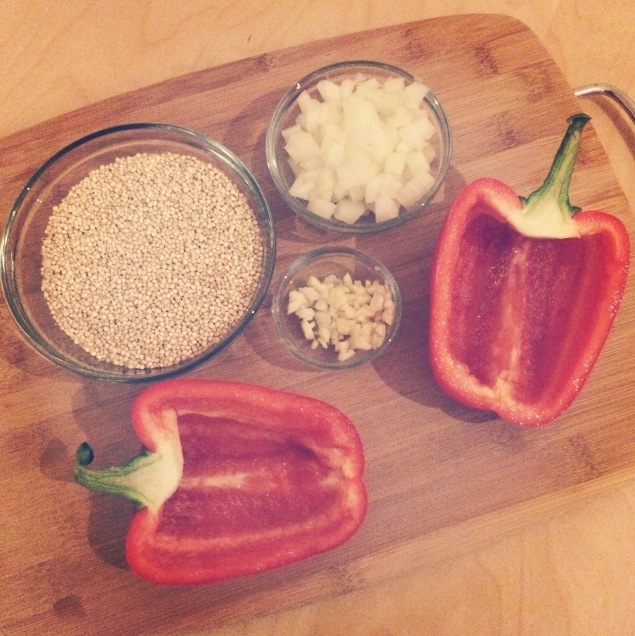 Remove bell peppers from the oven, drain any moisture from the inside, and stuff each bell pepper half with a large scoop of the quinoa mix. 6. Place the stuffed bells in a large casserole dish with the cherry tomato halves. Crack an egg over each pepper. 7. Cover the casserole dish with foil and bake at 375 for 30-40 minutes (or until the egg whites are set). Check after 25 minutes.